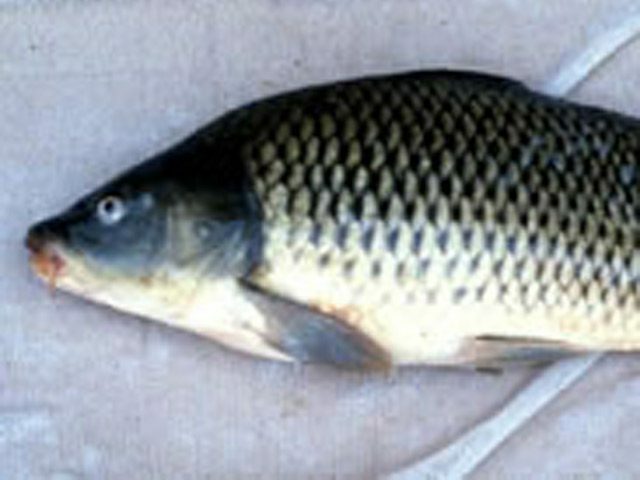 Asian Food Stores Adding to Carp Problem? York Alooah stands in front of a crowded fish tank at the 168 Market in Ottawa, Canada’s capital. He points to the fat, foot and a half-long bighead carp swimming behind the glass. banned the possession of live Asian carp. considered harmful. That listing would make it illegal to possess them alive. In Canada, there aren’t laws like that on the looks. But officials say they’re considering action. mussels that live in the lakes. And the grass carp destroys aquatic plants where native fishes live. others say that poses one of the greatest threats to the Great Lakes fish population. which captive animals are released into the wild. food stores are not likely candidates for release. small animals and very often will put them in a pond at a temple. 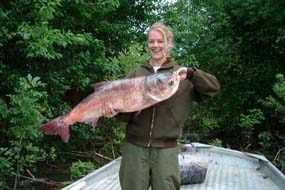 So far, only two Asian carp have been found – in the Canadian waters of the Great Lakes. Another was released in a fountain in Toronto, just a few blocks from Lake Ontario. species we’ve come to know would disappear.